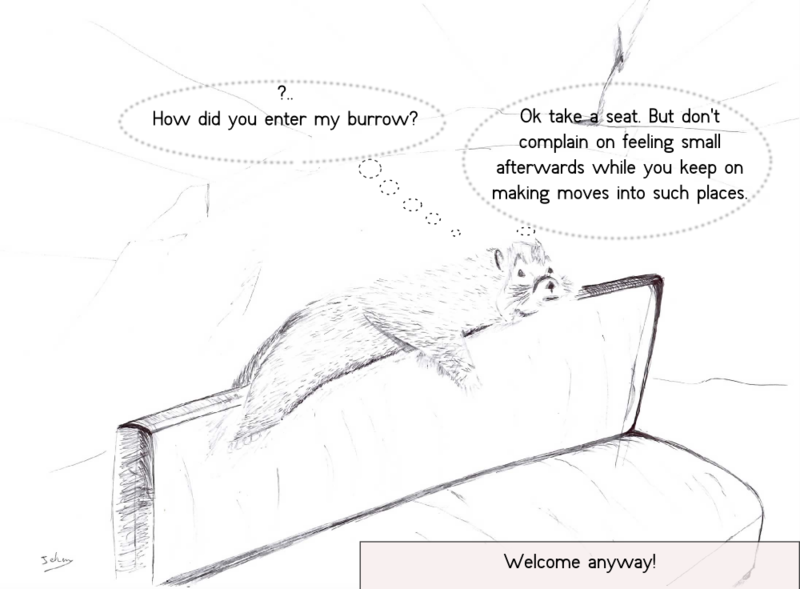 Welcome to the thought diary of Marmot. 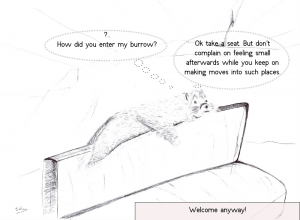 Note that according to Wikipedia (the French one, no such information on the English one), a normal marmot’s burrow would be around 2 meters long for a half meter large… though we might wonder if Marmot is a normal marmot anyway? Eh don’t look at me like this, by the way! Haven’t you ever lied down on a couch’s backrest, imitating an old sock in its better days? I’m sure you have. Everyone has!